There’s a chance your car may suddenly stop on the highway if its sensors mistake the road barrier for another car, but there’s nothing wrong with the vehicle. That’s the message that the owner of a Prius essentially got from Toyota, revealing a potential flaw with the automatic emergency braking (AEB) system that Toyota plans to make standard in all of its cars by 2018. Safety advocates have been pushing for automatic braking in all cars as a way to reduce rear-end collisions, which made up about one-third of all collisions reported to police in recent years. The National Highway Traffic Safety Administration (NHTSA) says its research finds that "a number of AEB systems currently available in the marketplace are capable of avoiding or reducing the severity of rear-end crashes in certain situations." In a deal its backers called "unprecedented," automakers agreed last year to make the technology standard on all cars by 2022. But if it doesn't work properly, automatic braking can cause as well as prevent accidents. That's why Toyota recalled 31,000 Avalon and Lexus cars in 2015 to fix a defect in the anti-collision braking system that caused problems similar to those the Prius driver reported. Toyota explained at the time that the anti-collision system in the recalled cars could be triggered even in normal driving conditions, by something innocous like a metal plate in the roadway, making the car suddenly brake without warning. But Prius vehicles, some of which are also equipped with Toyota’s anti-collision technology, weren’t included in that recall. "It was amazing that nobody hit me"
Joyce Laux estimates that she was traveling somewhere between 45 to 50 miles per hour as she drove her 2010 Toyota Prius across the Alaskan Viaduct, a major highway that brings commuters through Seattle. Suddenly, something went haywire. “It just stopped,” Laux tells ConsumerAffairs. At the same time her car stopped, "the seatbelt grabbed me, pulled me into the back of my seat, and took every bit of air out of my lungs." She looked in her rearview mirror and saw cars passing in every direction. Directly behind her, the driver had taken a nosedive to the right to avoid a rear-end collision with Laux. Behind that car, another had veered to the left. "It was amazing that nobody hit me,” she recalls. Nobody had hit anything. Then the car returned to normal. "Almost as soon as it happened, the car just started rolling slowly forward. I was just so panicked, I put my foot on the gas and drove it over the viaduct," Laux says. First she brought her car to her mechanic, who told her she needed to bring the Prius straight to Toyota. On June 2, a Toyota dealership in Seattle delivered what should have been comforting information. “At this time vehicle is working as designed,” the dealership told Laux in an email. But also included in their message are notes from a field services technician that Toyota had sent to inspect Laux’s Prius. The technician re-created the conditions in which her car suddenly stopped, a process that included driving the Prius on the Alaskan Way Viaduct again. Toyota's technician said that the car did not malfunction during his test drive, adding that “no failures, deficiencies or abnormalities found in braking system or pre-collision at this time.” Yet in the same email, the technician seems to acknowledge that “large metal objects,” namely large metal objects that do not actually pose a threat, can still activate the pre-collision system. “...after inspecting road conditions, found metal accident barrier may have caused car to stop suddenly (large metal objects can simulate another vehicle in path),” the technician’s notes say. Even though the pre-collision braking didn’t activate again during the technician’s drive, his acknowledgement that a highway barrier may have caused the earlier episode has made Laux decide to alter her driving route. "I just decided that I wouldn't go on that viaduct anymore,” she tells ConsumerAffairs. Toyota announced several years ago that it plans to introduce self-driving cars by 2020, and its inexpensive anti-collision program, called Toyota Safety Sense, is an important initial step in that technology. The carmaker officially unveiled its Safety Sense program in 2015, explaining that the car uses a laser and a camera to look for obstacles. The system allows the car to slow or stop on its own to avoid a potential collision. All Toyota cars will be equipped with Safety Sense by 2018, the company said. But the anti-collision system has actually been in use as early as 2010, in models including the 2010 Prius, Toyota spokesman Aaron Fowles confirms to ConsumerAffairs. 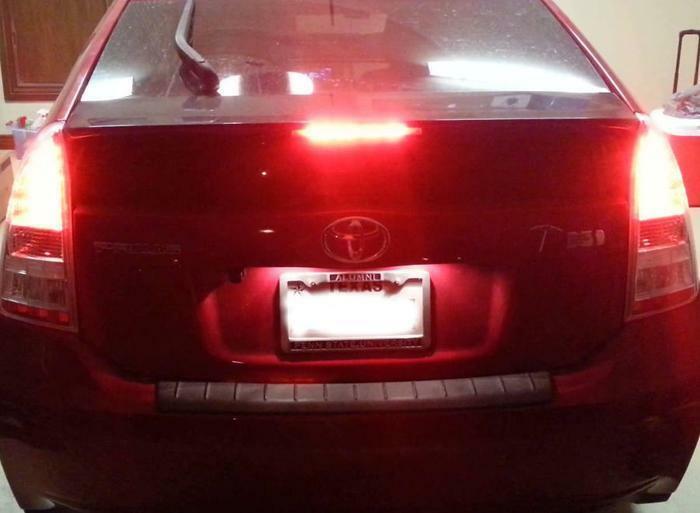 Laux is not the only Prius owner who has complained about an apparent Safety Sense over-reaction. Two consumers writing publicly in the National Highway Traffic Safety Administration complaint database have similar stories about their Priuses. “I WAS COASTING WHEN THE CAR SUDDENLY BRAKE, INTERNAL WARNING LIGHT FLASHING, ALARM BEEPING AND SEAT BELT LOCKED UP. I WAS ALONE IN THE CAR (THANK GOD) WITH NO CARS BEHIND ME OR IN FRONT OF ME,” wrote the owner of a 2013 Prius to the NHTSA. When asked if it could be possible that Toyota’s Prius vehicles have the same defect in their pre-collision systems that had caused problems in the recalled Avalon and Lexus cars, Toyota’s spokesman only replied with a link to a video about Toyota Safety Sense. In follow-up messages, the press team said they were having Toyota’s customer relations department reach out directly to Laux and would not comment until after they had talked with her. The problems with the AEB systems may be a precursor of shortcomings yet to be discovered as self-driving cars become more common, safety advocates are warning at a Congressional hearing today. The Washington-based Advocates for Highway and Auto Safety urged a panel of the House Energy and Commerce committee to require that automakers certify the safety of self-driving cars before they can be tested on public roads, Automotive News reported. "We think that before automated vehicles are put on the roads, they should be required to go through a functional safety evaluation," Cathy Chase, vice president of governmental affairs for the group said in prepared remarks. "We think that's a very basic precursor."